Will Americans remain asleep or, will they wake up before it’s too late? I hope we will wake up before sustainable development strips us of every right we have. This blog post could just as easily be about hikers in the WMNF, you know hiking causes erosion, some hikers pick flowers. What will the next activity of focus be in the Forest plan? To all who do not know whats really going on. And to see just how serious this is, take a look at this map. It’s pretty straight forward and easy to see just how much land we will be “Allowed” to use across the US alone. This is a world wide issue. 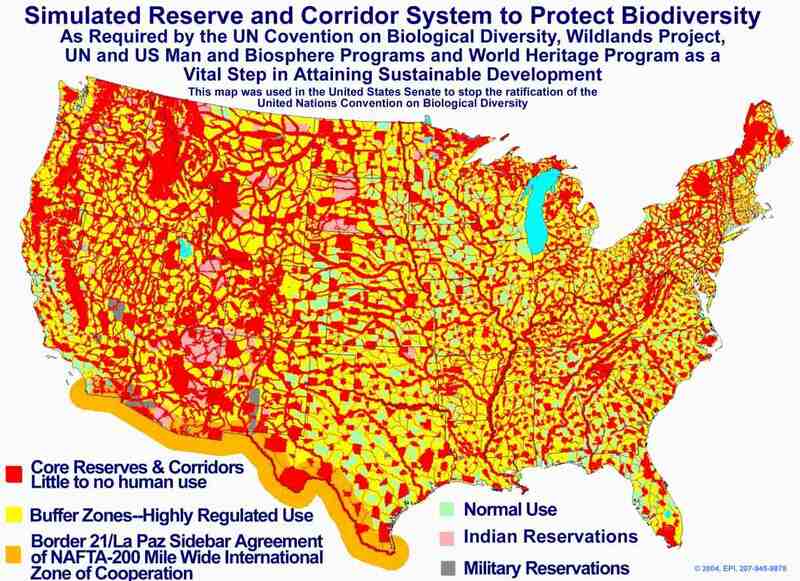 This map comes straight off of the UN web site and it is true, this is what the Paris treaty is about, Agenda 21, Agenda 2030, sustainable Development, they are all the same program.